Topic: Knight, Wilbur C. and Slosson, E.E. 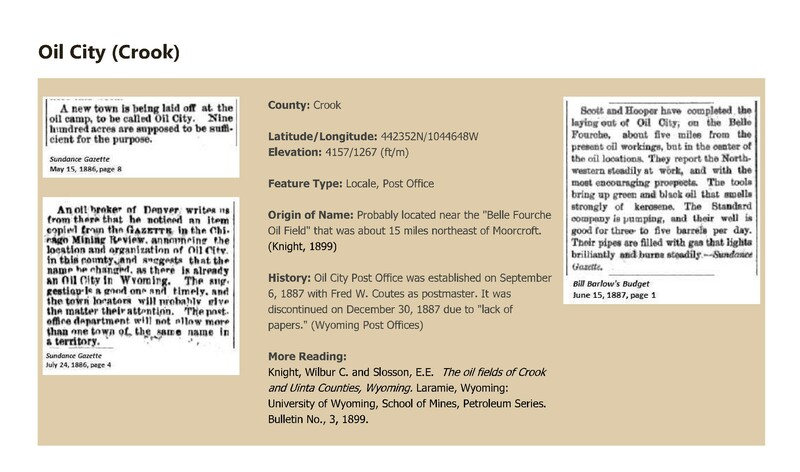 The oil fields of Crook and Uinta Counties, Wyoming. Laramie, Wyoming: University of Wyoming, School of Mines, Petroleum Series. Bulletin No., 3, 1899.